Should you be doing something else right now? Is there something you could be writing? Writers need to be extremely disciplined to be able to work consistently and diligently at home, or in the coffee shop, with or without any external deadlines. 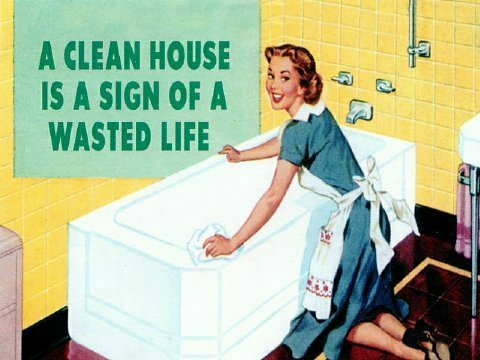 There are times when cleaning the kitchen cupboards or even the toilet seems more important. Children, friends in need, paid work and the ever-present lure of checking emails (just in case a publisher has offered you a contract) and surfing the net are constant distractions. But, if you want to get your own writing done you have to learn to ignore or at least postpone these other tasks. Screaming toddlers won’t wait, but the washing basket will. Look the other way and put your writing on the top of your list of things to do. And if you’re in danger of being sucked into the web and getting stuck squirming there for hours then DISCONNECT your modem or bribe yourself with the promise of doing all that later, after you’ve done an hour of your own work. In an interview in the Paris Review, Ernest Hemingway said that creating a work of lasting value is a full-time job. FULL TIME people. It’s not something you can squeeze in after you’ve done everything else, after you’ve checked your emails and responded to every funny remark on facebook. If you want to write you have to give yourself the time to write. You have to be able to focus on what you’re doing and focus in deeply with ALL your attention, not part of it, interrupting every now and then to see if that email has arrived. It’s not easy to keep your focus, especially on days when the writing isn’t coming easily, but it’s worth it. The emails will still be there waiting. The blogs will wait another hour or so. Your facebook friends can cope if you don’t answer immediately. Put your own writing on the top of the list. Oh, but thanks for procrastinating long enough to read this!